Following the success of Saturday’s event, what’s next for Dana White’s business? Dana White will always be the first to say that his press conferences are a little different. But even he had to admit that the one following UFC 100 on Saturday night was especially awkward. For the final 15 minutes of the news conference after the milestone event, only White and Dan Henderson graced the stage. Empty seats lined up on either side of the two. Usually, fighters getting up and leaving in the middle of a press conference is enough to receive a verbal lashing from White. But this time when Brock Lesnar and Georges St. Pierre stood up to make an early retreat, they had a good excuse. SportsCenter was calling. Brock Lesnar unleashed a series of hammer fists to end Frank Mir's night in the second round, but the show was far from over. Lesnar about got into with Mir afterwards, then proceed to salute the booing crowd with a couple of hand gestures. "Keep going, I love it. Keep going," Lesnar said. UFC 100: Can anyone beat Brock Lesnar? As insane as Brock Lesnar's behavior was following his win over Frank Mir at UFC 100, it shouldn't overshadow the first show he gave the fans Saturday night. That one was actually more impressive. Lesnar completely battered Mir the entire fight. Really, Lesnar has completely battered everyone. Georges St. Pierre wants to leave a legacy in mixed martial arts, but after his latest victory Saturday night the UFC welterweight champ may be running out of room to improve. Despite a severely injured groin or abductor muscle, the popular Canadian fighter completely dominated the division’s top contender by scoring a lop-sided unanimous decision victory over Thiago Alves at UFC 100 at Mandalay Bay. Even the judge’s scores (50-45, 50-44, 50-45) couldn’t describe how flawlessly “GSP” executed his Greg Jackson-constructed game plan. A few hours from the start of perhaps the most important fight in UFC history, the company's chairman and chief executive officer, Lorenzo Fertitta, took time to address fans at the UFC Fan Expo inside the Mandalay Bay Convention Center Saturday morning. 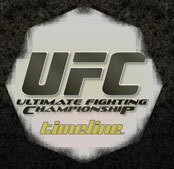 Fertitta delivered a short keynote address, which can be heard in its entirety here, about the creation of the UFC and its strategy moving into the future. Before clearing the stage for 40 bikini-clad women hoping to become the next Maxim/UFC Octagon Girl, Fertitta spent nearly an hour answering questions from a group of about 300 fans. Ultimate Fighting Championship events are never short on emotions, but usually the electricity in the air is one of energy and excitement for a big fight. The action inside the Octagon will be only part of the mixed martial arts related attractions this weekend at Mandalay Bay. If the UFC 100 Fan Expo is any indication of the popularity of mixed martial arts, then UFC 200 might be right around the corner. Tens of thousands of MMA fans packed the Mandalay Bay Convention Center Friday for the start of the first ever UFC Fan Expo, which runs until 4:30 p.m. Saturday. During the UFC 100 press conference Thursday, Brock Lesnar told everyone he was done talking. Had nothing left to say. After tipping the scales at his usual 265 pounds at Friday's weigh-in, the heavyweight champ made one final comment to his opponent Frank Mir. Dana White along with the key fighters for UFC 100 took part in a media luncheon and press conference Thursday at Mandalay Bay's House of Blues. Rematches will always be highly anticipated, but rarely does a first fight leave so many questions that need answering in a second meeting. The anticipation for the truth of what Mir-Lesnar I meant and what will be revealed this time in the Octagon is part of what has made the countdown to UFC 100 so electric. Tonight, we'll all have our answers. At the age of 15, most kids daydream about driving licenses and prom. Thiago Alves dreamnt a little bigger. “I never thought I’d be here today,” said Alves, who will fight Georges St. Pierre for the UFC welterweight title at UFC 100. “But in the back of my mind, since I was 15, I played with it that at the age of 25 I would be a world champion. 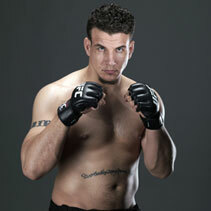 Here I am, at 25.” Alves has traveled one wild road that will place him in the octagon Saturday night. You wouldn’t think that a man with an 18-1 MMA record, a United Kingdom fan base that rivals that of Ricky Hatton and a family ancestry that traces back to royalty would have any trouble earning respect. And yet, somehow, Michael Bisping says he does. All six combatants in the three major fights for UFC 100 took part in a media workout Wednesday at Mandalay Bay. Dana White’s not hurting for money. If the blacked out Ferrari the UFC president revs off in one of his recent video blogs doesn’t offer enough proof, there’s always that little 10-percent ownership clause for a company that Forbes recently valued at a billion dollars. So why not just speed off into the sunset after Saturday’s historic UFC 100 show and leave the everyday headaches of the world’s fastest-growing sport behind? White is the fiercest fighter in a sport based on the primal instinct. The more he’s challenged, the harder he fights back. Dana White sits down with 702.tv's Alex Adeyanju to talk about UFC 100 and his personal life. Watch more with Dana White and UFC 100 on All In: The Vegas Sports Scene Presents: UFC 100 Thursday 10:30 on VegasTV. U.S. National Greco-Roman coach Steve Fraser remembers he wasn’t upset when one of his wrestlers, Randy Couture, decided to leave the sport for mixed martial arts. Likewise, he didn’t mind when Dan Henderson and Matt Lindland left for the same reason. However if star pupil Joe Warren chooses the Octagon over the mat now, that one’s going to sting. Georges St. Pierre has squared off in super fights and fought arguably the sport’s top champion, but the popular Canadian says his biggest challenge will come from Thiago Alves on July 11 at UFC’s historic 100th event. “Skill-wise he’s bringing a lot more problems to the table than everyone I’ve fought so far,” said St. Pierre, the welterweight champ. Physically, Brock Lesnar is already the UFC’s biggest star. The 6-foot-3, 280-pound Lesnar looks to be made more of granite than flesh. A win at Saturday night’s historic UFC 100 event at Mandalay Bay could easily place the behemoth right at the top of the list of mixed martial arts’ biggest stars in terms of financial success and stardom. UFC Interim Heavyweight Champion Frank Mir takes on Brock Lesnar in a unifying match for the UFC heavyweight title at the company’s historic 100th show Saturday, July 11, 2009. Frank Mir didn’t do much smiling when talk turned to his UFC 100 opponent Brock Lesnar at his open workout last Friday at Striking Unlimited. The one question that did raise a smirk on the UFC interim heavyweight champ’s face was whether or not there is a possibility for Lesnar-Mir III in a couple of decades. The 30-year-old Mir just had his fourth child, son, Ronin Maximus, on June 9. The next day Lesnar had a baby boy. “Maybe, but I sure hope they don’t. I want my kids to all have jobs where they wear ties,” Mir said with a chuckle. Betting Lines: Lesnar -220, Mir +180; St. Pierre -320, Alves +250; Henderson -260; Bisping +210; Stephan Bonnar -400, Mark Coleman +300; Jon Fitch -400, Paulo Thiago +300; Jon Jones -500, Jake O'Brien +350 (odds subject to change). Are you a YouTube star? What about a Flickr or Facebook junkie? If you’ve got UFC 100 photos or videos on the Web, we want to see them and help share them with the rest of the fight community. We’ve made the process really simple — use your Las Vegas Sun account and let us know which sites and content you’d like to share. Which bout will be the best fight at UFC 100?